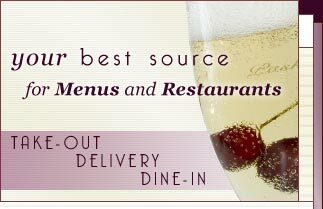 MenuMart is an on-line menu service. If you are craving something in particular or would just like to see what the restaurants in your area have to offer then MenuMart is the place for you. Looking for dining options in Virginia? Check out Williamsburg.MenuMart.com, featuring New Town and Colonial Williamsburg restaurants, menus and more. I work in an office environment where food often becomes the topic of conversation; food is ordered on a daily basis. One day we were discussing our favorite restaurants. I was amazed at how many I had never experienced and others I had never even heard of. I asked about the types of food each served and it was difficult to get a detailed answer. I wished there were a place to get this type of information. The next day we wanted to order out for lunch. After 15 minutes of searching, we finally found some old, out-dated menus stuck away in a filing cabinet. I was doing some research on the Internet at the time and it hit me. I knew that the Internet was where the information could, should and would be. I discussed the idea with many people and 100% of those I asked that had access to a computer said they would use the service. The need was apparent. Within a few weeks MenuMart was born. Why would I want to put my menu on-line? You will receive professional, state-of-the-art, interactive, full color ads at a fraction of the cost of conventional print advertising. Not only does MenuMart provide you with quality advertising but you get to provide the local community and tourists with a valuable service. You will have the ability to provide customers with on-line reservations and ordering. Your ad will feature your logo, the entire menu including up to 5 scanned graphics and if desired, a photo of your business - all for only $100 - $125 a year. Customers have access to your ad 24 hours a day, 365 days a year. Increase your exposure - there are over 204,409,827 Internet users in the United States. Your menu will be easily accessible. Not only will MenuMart be accessible through all the major search engines, but each restaurant will be listed individually as well. In addition, we will provide the information you need to explore other options available for registering your business to increase online visitors.